SAN ANTONIO (AP) General manager R.C. 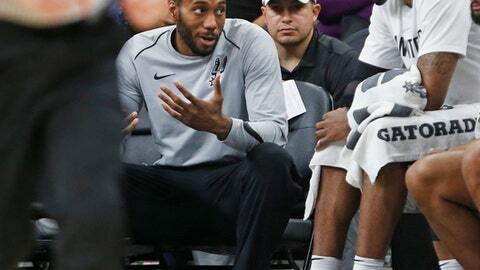 Buford acknowledges star forward Kawhi Leonard is unhappy with the Spurs. Leonard has requested a trade from San Antonio because he is unhappy after missing most of last season with a right quadriceps injury. Buford would not comment on ”speculation” of a trade demand, but agreed there is a fractured relationship between Leonard and the only franchise he has played for. ”I think all of us would wish that things would have gone differently,” Buford said. ”I don’t know that timing is a factor in this from today … he’s under contract for another year, our goal is to keep him as part of our program for a long time,” Buford said.